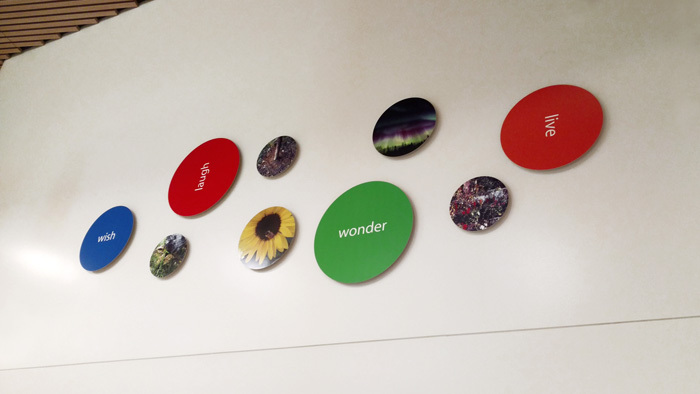 Wonder Matrix is a site-specific public art created in collaboration with Ryan Middle School students. 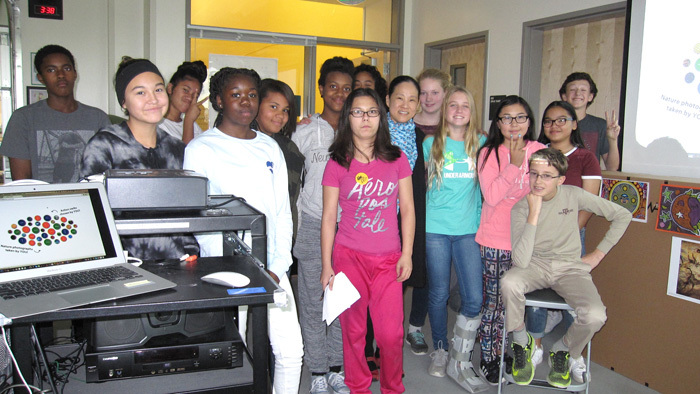 In summer 2017, the artist traveled to Fairbanks to present a two-part outreach program. 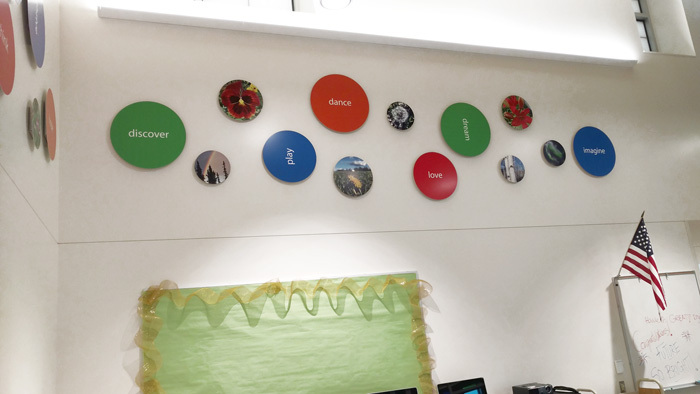 She first worked with the students to identify action verbs best representing the school community, as well as engaged them in nature photography celebrating Alaska's beauty. 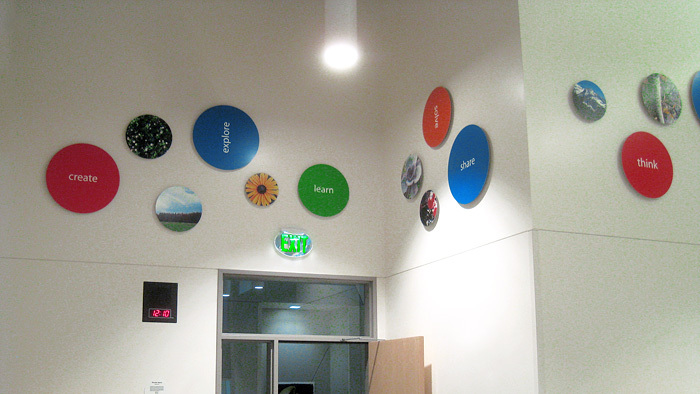 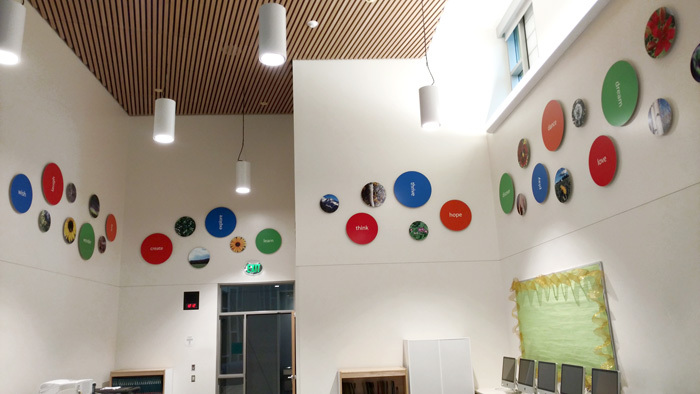 The artist then translated resulting text and imagery into an assemblage installation spanning five walls of the newly built school's Media Center.